Froome recorded a VO2 max, the body’s rate of maximum oxygen uptake, of 84.6 (88.2 in his Tour de France condition) in the physiological tests, which stands in contrast to the VO2 max of fellow riders which would reportedly start from about 70 upwards with some having reached the 90s in the past (Greg LeMond for one). 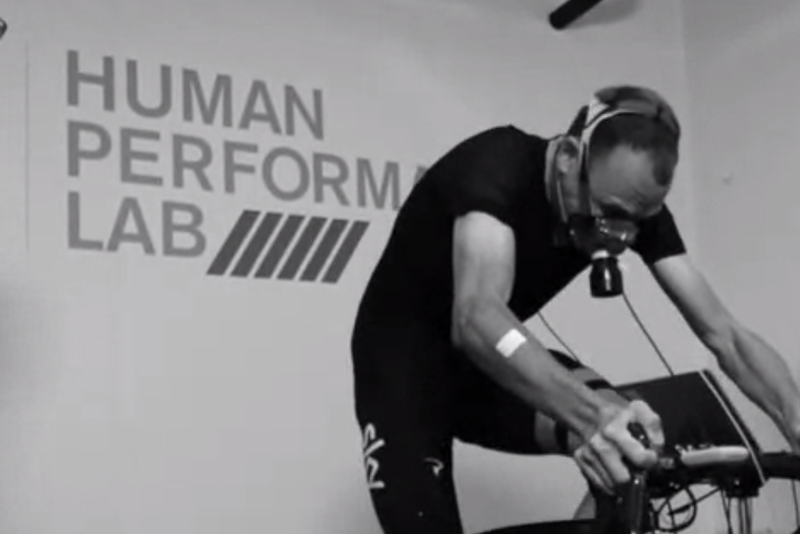 The Team Sky man underwent a VO2 max test and a submaximal test (testing his sustainable power) in the weeks following the Tour, at the GlaxoSmithKline Human Performance Lab in Brentford, London. As well as the GSK staff, Froome also had an external scientist in Jeroen Swart from the University of Cape Town to analyse his results. Froome’s peak power during the test was 525 watts, with a sustained power of 419 (a power he should hold for 20-40 minutes). It correlates to 5.98 watts-per-kilogram at his test weight, and 6.25w/kg at his Tour weight of 67kg. He is reported to have been carrying around 3kg more weight when the test was taken than in the Tour (67 to 69.9kg) and had a body fat percentage of 9.8. “I’ve seen a value of 5.8w/kg being spoken of as the upper limit of human performance for a 40-minute effort,” Swart told Esquire. “But 6.2w/kg is definitely doable for Chris for 20 minutes if not longer. “The [sustained] figure of 6w/kg — which is basically what he produced in the lab — is 79.8% of his peak power. That’s a completely reasonable percentage,” he added. The two-time Tour winner had said he wanted to use the tests to try and dispel suspicion of doping, having coming under heavy scrutiny at the 2015 Tour from the public and the press. However, it is consistently clear the tests are aimed at addressing questions on doping, particularly surrounding those put forward by former Festina trainer Antoine Vayer, who has openly accused Froome of using performance enhancing drugs, calling his performances “mutant”. “It’s hard not to get angry,” Froome said on the accusations. “You think, hold on, what people are actually accusing me of is so severe — it’s basically calling me a complete fraud. Results were also analysed from similar tests taken by Froome at the UCI World Cycling Centre in Switzerland in 2007 (the document of which you can see here) for comparison. However these results don’t adhere to the Athlete Biological Passport criteria started in 2009, so can not be used as a direct comparison. Further to that, Froome also released blood data from the ABP taken in controls on July 13, the day before he rode to victory on La Pierre-Saint-Martin at the 2015 Tour, and on August 20 in a random test shortly before the Vuelta a España. Neither of the results produced an Off-score in the ABP that could be read untoward. The Off-score indicates the balance between the haemoglobin concentration and the percentage of reticulocytes (a measure of the rate of red blood cell formation), with Froome showing 15.3 grams per litre and 0.72% of his red blood cells as immature (a normal adult range is 0.5–2.5%) in the July 13 test. His Off-score of 102.1 sits within the often quoted 80-110 boundary. Likewise, his haemoglobin on the August 20 test was 15.3 and he had 0.96% immature red blood cells. Froome’s Off-score for that test was 94.21, again sitting within the range. Froome said on the tests: “At the end of the day, whatever the number is, I’m not going to be able to change it. The full set of data is available in the new Esquire magazine, out on Monday, December 8.